Stephanie & Bryan Celebrated their beautiful wedding at the Oasis Convention Centre. 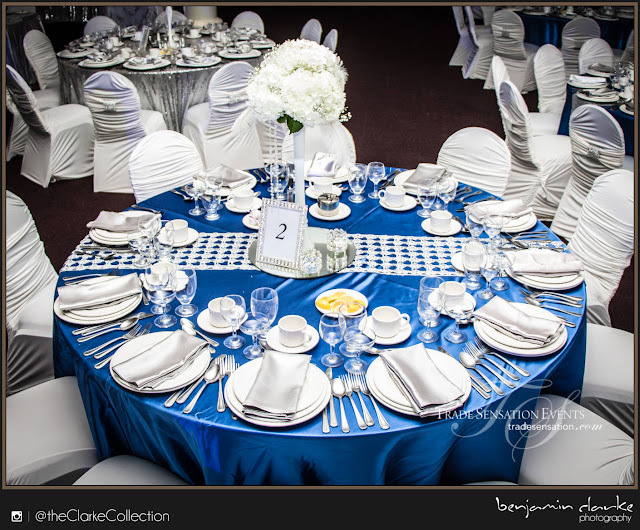 Guests were enchanted by the romantic decor which consisted of Royal Blue, White, Silver Sequin & Feather details. The Head Table Backdrop sparkled and shined with hanging Crystal Curtains & Twinkle Lights, highlighting the sweet couple. Not to mention the alternating Guest Table decor with Silver Sequin Table Linens and Satin Royal Blue. The night was full of love, laughter and romance. We are so happy to have been able to make your vision for your wedding come to life and that we were a part of your special day! We wish you a lifetime of happiness Stephanie & Bryan! The Ceremony joining this sweet couple Alyssa & Renato, was filled with love from their friends and family. 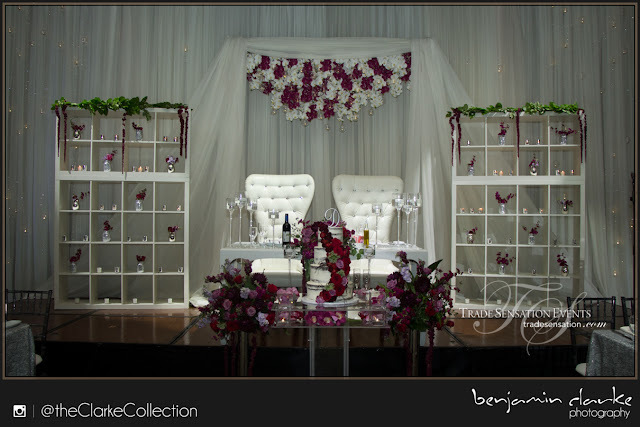 Trade Sensation's trio team of Wedding Planning, Decor and Floral was there to ensure perfection. Shortly after the Ceremony finished and the Bride and Groom shared their first moments as a Married Couple, they were whisked away with the Bridal Party in their Party Bus for some fun taking photos at The Doctor's House in Kleinberg.